Traveling to or from Nashville International Airport? 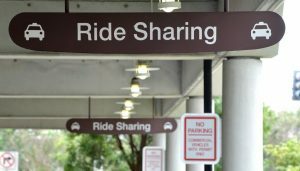 We have a dedicated pickup spot at BNA to provide you with a seamless ride, anytime. Best of all, drivers are available 24/7 and wait times are under 5 minutes. Want to know about how much your ride will cost? Check out the table below or run a fare estimate on our website. *Estimated fares. Actual fares vary based on time of day, pick-up location and drop-off location. Fares may vary due to traffic, weather, and other factors. The estimate does not include discounts or promotions. Whether you’re headed home or just visiting Music City for the first time, we’ve got you covered. Headed out of town? See our full list of airports where Uber picks up.